Anchor your living room look with space to stage glossy magazines and potted succulents with this Coffee Table. 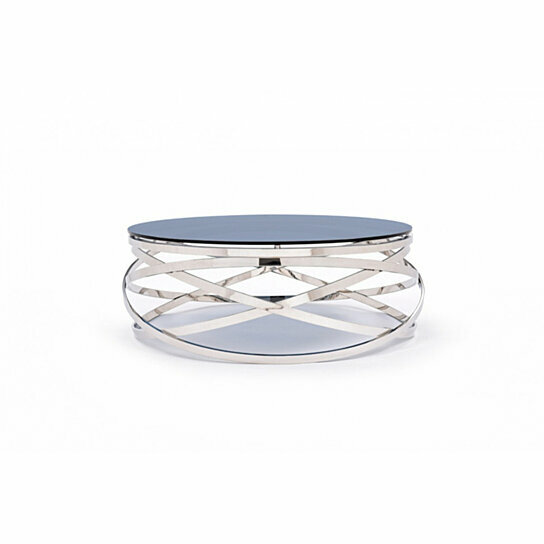 Founded atop a chrome finished stainless steel base with a smoked tempered glass top, this table will add airiness and a touch of glimmer to your living room space. Try setting this coffee table in your living room to create a striking look and provide you with a spot to hold your drink, books or decors. The table features an open geometric style base. Founded atop a metal base with a tempered glass top, this table will surely last for a long period of time. This Coffee Table is an ideal element that will enhance the look of every modern home decor.